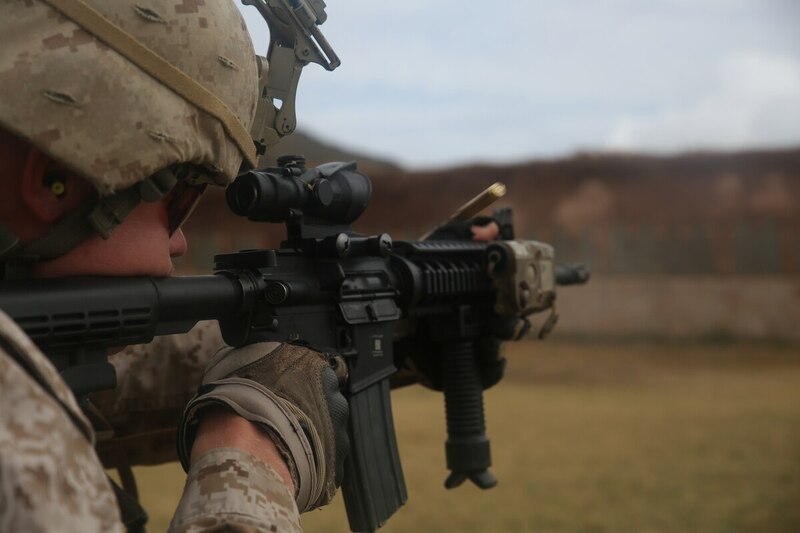 In 2018 the Marine Corps will be adopting the Army’s enhanced 5.56mm rifle round for Marines in combat. The Army’s M855A1 round has proved a deadlier bullet than the Corps’ M855 5.56mm round, said Chris Woodburn of the Corps’ Combat Development Command. “The M855A1 provides improved performance over the current M855, 5.56mm round in a lead-free form factor, and provides improved steel penetration, hard- and soft-target terminal effects, with more consistent terminal effects than the M855 at ranges out to 600 meters,” Woodburn told Marine Corps Times. The Marine Corps will begin ­procuring the enhanced round for its combat stockpiles this fiscal year, said ­Woodburn. ­Deployed Marines who are ­issued M855A1 rounds can use them now. In testing, the Army round caused “some durability issues” for the ­Marine Corps’ M27 Infantry Automatic Rifle, Brig. Gen. Joseph Shrader, ­MARCORYSCOM’s commanding officer, told Senators in June. Even though the M855A1 reduces the IAR’s durability, the M27 is still “operationally suitable” when firing the Army rounds, Woodburn said. Neller is considering replacing M4 carbines in infantry squads with IARs. In ­February, MARCORSYSCOM expressed interest in buying 11,000 weapons meeting the IAR’s requirements.